Love Hubstaff? Share it with your friends, and earn a 30% commission when new users sign up. It’s called the Hubstaff affiliate program, and it’s a simple way to both share the time-saving powers of Hubstaff with friends, and earn money. Whether you’re looking to monetize your blog, want to add a side gig, or just love Hubstaff, our affiliate program is here for you. What’s the Hubstaff affiliate program? It’s fairly common these days for friends, colleagues, and clients to ask us for recommendations on our favorite apps, software, or business tools. It makes sense why: a personal referral is more valuable when it comes from someone we trust. It also provides an inside look at a product based on firsthand experience. That’s why we started the Hubstaff affiliate program. We wanted to make it easy for you to recommend a product you’re already using, and get rewarded for doing so. When you sign up for the affiliate program, you’ll get access to proven ads, engaging social content that’s easy to share, and an 83-page brandable e-book on virtual management. It’s easy to download these tools and start using them. Just keep scrolling. Let us guide you through getting your affiliate links, ads, stats, commissions, and more. Simply sign up for an account here, and you should hear back within 24 hours. Once you’ve been approved, you can log in and see your dashboard, which contains how many times your unique URL has been shared or clicked, along with the referrals, revenue, and commission you’ve earned. Copy the snippet to include on your site or blog. 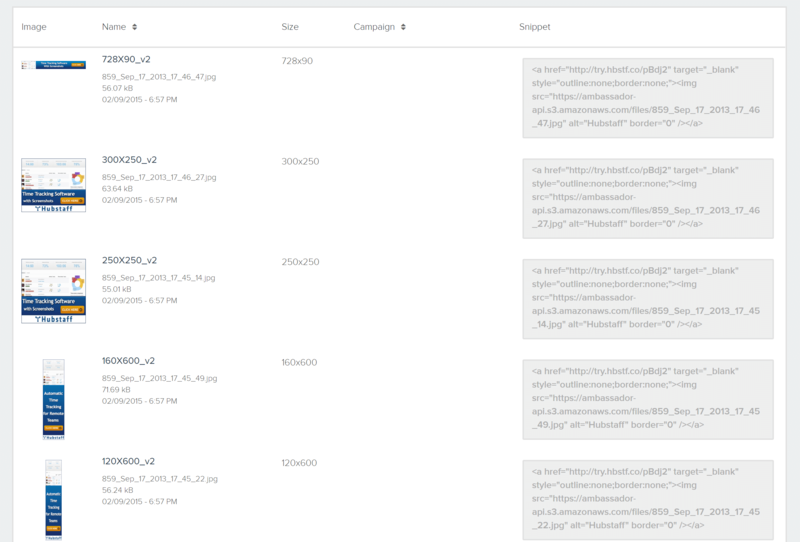 You can also share your link directly with friends and colleagues to track clicks and signups. It’s located in the upper right corner of your dashboard. Share your link on social networks, via email, in blog posts, or even through advertising. 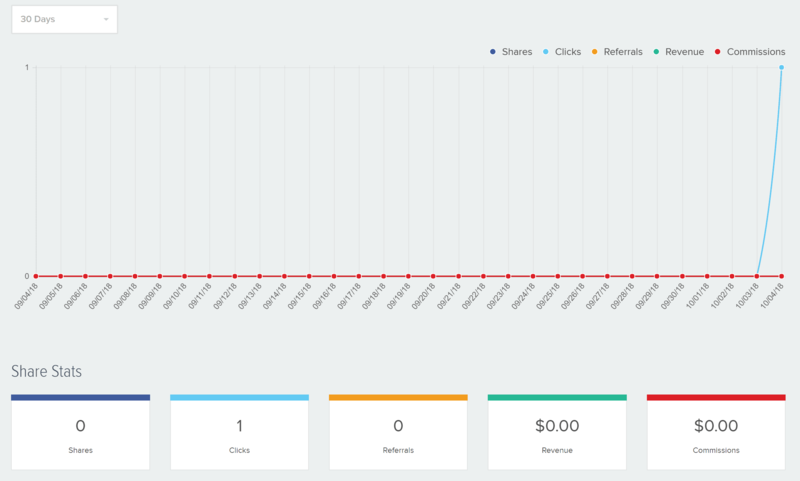 As soon as you start sharing your unique URL, you’ll see the stats update (commissions, clicks, money earned, and points earned). You’ll receive 30% commissions for anyone that signs up for a Hubstaff plan through your link. If you have any questions about the affiliate program or need help getting started, send us a message or comment below. This post was originally published December 20, 2013, and updated October 2018.